Alright Fangirls, this is sample number one. I chose to do this one first because it’s rather small and simple. 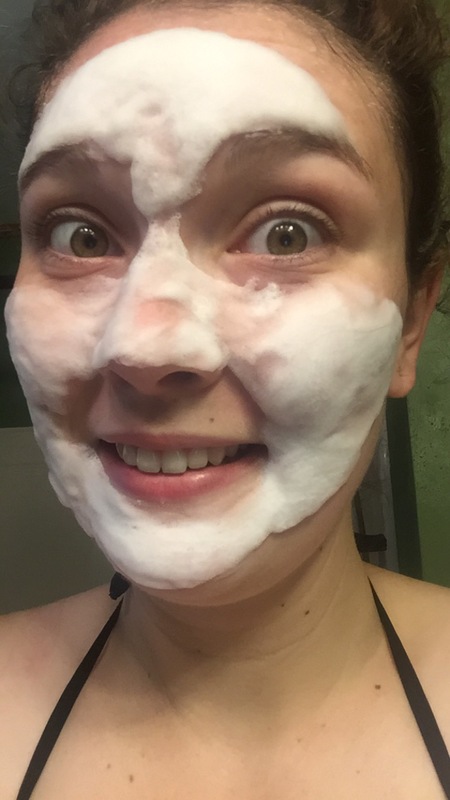 I do face masks all the time; they’re a great way to keep your face feeling fresh and clean. This one was particularly fun, because it was probably the silliest surprise I’ve encountered so far, and I had a blast using it. This little packet packs quite the wallop. 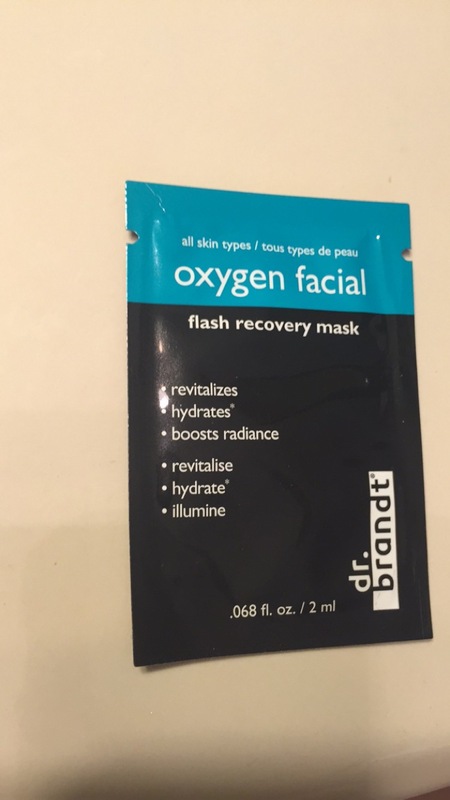 It comes with one Oxygen Facial treatment from Dr Brandt, and it was so much more than I expected it to be. Upon opening it, I thought that this smells and looked kind of like baby lotion. It started popping a bit, when i opened the packet more, so I followed the instructions to wash my face, spread this on, and wait. As soon as the mask hit my face, it started bubbling. 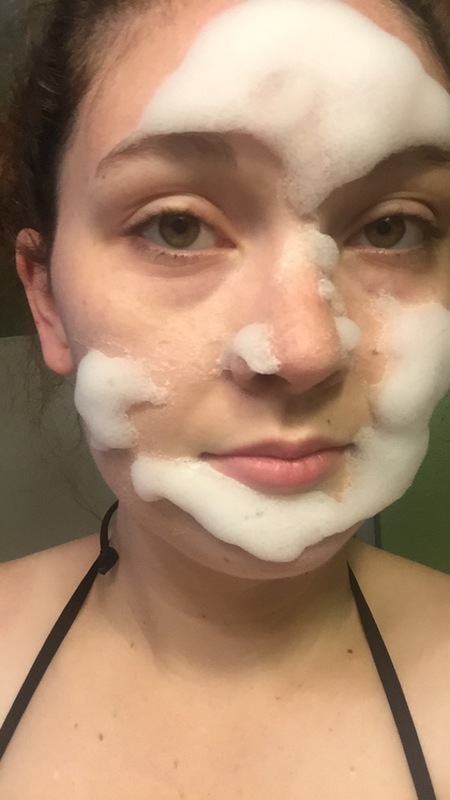 I felt like a kid, putting bubble bath on my chin to look like Santa Clause, but this was my whole face! And as silly as it looked, it felt really good. The scent was calming and the gentle popping was nice; I kept thinking of it as the most gentle flesh eating disease out there. Within 5 minutes, many of the areas had calmed down, leaving the mask patchy, but still bubbling. This goofy foam continued to grow and pop until I got into the shower, where I found that washing it off almost returned it to it’s lotion like form. It was incredibly bizarre. But my face felt so good! This was a great start to my sample reviews. I’ll make sure to always let you know whether or not the product I’m using is a sample, and this one definitely was. I know that I said I’m trying not to spend money right now, but this may need to be ordered for me. You can get your own Oxygen Facial treatment here, or in Ulta stores. The $70 price tag is beyond intimidating, and my skin felt refreshed and happy after using it, but I suggest getting a trial size before going for the whole shebang. The you order from Ulta, you can select “Skincare Sampler” and they will send you a little baggy filled with cute skincare items for free! If you’re lucky, this will be in it!